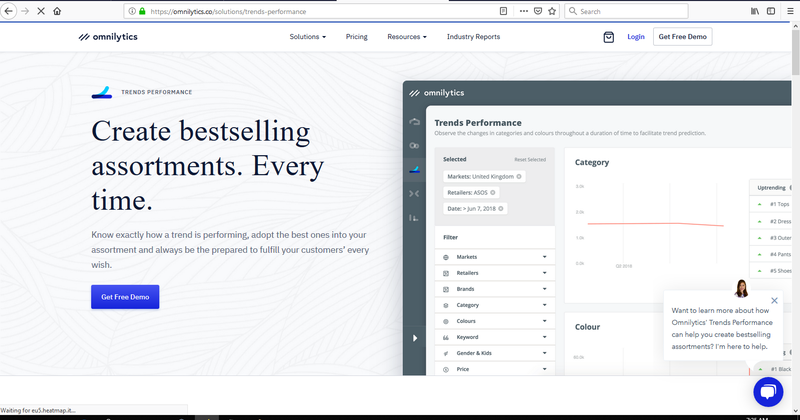 Omnilytics introduced an improved dashboard to enable brands and retailers in the fashion and beauty industry with data and insights to make more informed decisions. Trends can change and evolve overnight but which trend is here to stay? Build brand confidence with the Trends Performance, a component that creates the bestselling assortments by differentiating between declining trends and the highest performing trends for brands to safely invest in. The reality of vast pool of continued growing data justifies the use cases (by Brands and retailer) of it; the ROI is savings in terms of time and efforts to process such data into actionable insights. Brands and retailers can independently turn valuable data into actionable insights with speed, accuracy and precision, all in a single holistic platform. Getting Ahead of the Competition at an Unbeatable Price - From just $50, the tool provides the ability to oversee trends in categories, colours, sizes, styles and patterns from over 75,000 brands and 100 million SKUs – all in real time. The dashboard provides an overview of the current trends through monitoring consumer behaviour patterns, equipping retailers with the necessary data to leverage at the right time. One of the critical success factors of analytics solution is end-users having the ability to customize reports and dashboards. Solution vendors and resellers must provide regular training programs for end-users to harness the features and usability of the software.